To begin with: this book does not teach the reader to read the Tarot, the runes, ogham, the bones, palms, tea leaves, entrails, the flight of birds, the I Ching, or any of a myriad of other divinatory methods. 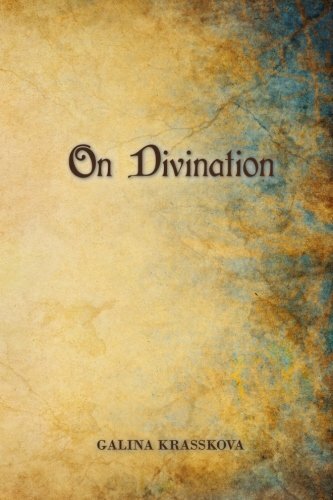 In only one way is it a how-to book on divination: it contains a series of lessons for the reader not on the mechanics of divination, but on the ethics, responsibilities, and potential issues that might arise for one taking up the divinatory arts. In that sense, this book is absolutely unique; there are thousands of books available to tell you how to read Tarot cards, or runes, or any other system thinkable; these days, you can’t buy a deck of Tarot or other divinatory cards without them coming with an easy guide on just how to interpret them. Possibly too much so: it can be argued that such guides have almost completely replaced any hands-on training that once would have taken place face-to-face for someone wanting to learn a form of divination. In the past — perhaps even as recently as twenty or thirty years ago — there were still many laws in place in many areas making it illegal to “tell the future” for money, and so such in-person training was often the only way an individual could learn the practice. This was prior to the advent of the internet, of course, where anything can be found if a person just Googles it long enough. But what both those easy guides, and many internet sites, leave out is the ethical component that goes along with such arts. These days, it’s a cliché to state that “the Tarot Death card doesn’t actually mean death; it just means there’s going to be a change.” However, death itself is a change in a person’s life — a huge one — and while many practitioners will search for a way to break bad news as carefully as possible to a client, sometimes the Death card does mean death. What then, for the practitioner? Whitewash the actual meaning to avoid upsetting a paying client, or tell the truth and expect to be condemned and criticized for it (both by the client and, often, other practitioners). This is the sort of dilemma that can occur and baffle practitioners who don’t have the benefit of such face-to-face training, who got all their skill out of a book or off a website (or smartphone apps, which may be the ultimate in lazy, inaccurate divination). And this, then, is what Krasskova’s book is about, overall. The book is short: an introduction, four chapters, and a list of other books recommended as resources at the end. That the book is short in no way diminishes its value; Krasskova says more here in these pages than many authors can adequately describe in hundreds. The first chapter emphasizes the importance of doing divination well: the sort of training that is needed, the importance of finding divinatory systems that work best for each individual practitioner, and a list of suggested rules that help lead to better divination. These rules emphasize ethical practice, processes a practitioner can take to divine more clearly and ethically, the need to develop a better understanding of, and trust in, the messages a practitioner reads for their clients, and so forth. She especially points out how necessary it is for a diviner to be able to separate — and control — their own feelings about any topics a client may ask them to divine on. Warding, ritual cleanliness, integrity, lack of ego, ancestral connections, and devotional practice in conjunction with divination are all discussed in depth here. The second chapter discusses divination in the Socratic style — specifically, the importance of just how a client’s question is worded. In this sense, divination can be likened to computer programming: garbage in, garbage out. A poorly-phrased question from the client is apt to get a response that makes no sense, or might be something the client desperately wishes not to hear. (It can also, when dealing with certain powers, be much like asking for a wish from a djinn; the djinn is under no compulsion to give you exactly what you wished for — following the letter rather than the spirit of the wish.) Krasskova discusses ways here to help clients ask better questions, although she notes that the diviner is under no obligation to do so. Chapter three discusses the process of divination: the purpose, some of the systems (Krasskova points out that she knows at least thirty different forms), the kind of training a diviner should have, protocols and taboos, etiquette toward clients, what can be done if a client receives an answer they can’t act on, stupid or unanswerable questions, free will, client drama, grounding, and recommended tools for beginners. She also discusses the difference between a diviner and an oracle, which is more complicated than one might think. The final chapter deals with binary divination — systems that can be used for simple yes/no questions, their surprising complexity, the tendency to over-rely on such systems, and whether new learners should learn them, and learn them first (which is both yes and no, with clarifications). This book is amazing: written in a clear, no-nonsense style, understandable without being patronizing or dumbed-down, and full of information and advice from someone with decades of experience in the practice being written about. I can recommend it without hesitation for anyone — new learner or old hand — who uses any divination method and wants to learn not just the “hows,” but also the “whys” and “why nots” of divinatory practice.